Statistically, the major part of resume recruiters doesn’t read each resume attentively. Some of them just make a quick search and look at one resume for no more than several seconds. For that reason, your overarching objective is to do everything to make your resume effective. It means that you always need to take into account such small aspects as resume format or style. So, how large a resume font should be? Remember one simple rule – it is crucially important to use the font which is easy to read. Hiring managers shouldn’t spend time trying to decide what is written in your resume. The below-written pieces of advice will definitely help you make a right choice! There are several reasons, why this is crucially important. 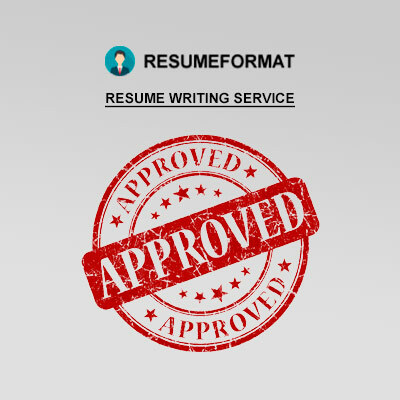 First, simple font is important because as a rule, all resumes are first checked by various applicant tracking systems. Only after this simple procedure, resumes are read by people. Such systems work properly, only if you use a simple font. In this case, fancy formatting doesn’t work to your credit. It just means that in case this system can’t read your resume, then a hiring manager won’t see it as well. As for the font size, it should be between 10 and 12. This increases readability. Too tiny fonts are really difficult to read, so bear in mind this information. One more advice is to print a resume in black and white colors. All other colors can distract a hiring manager. When you write your name, you should somehow emphasize it – make it larger, underline or italicize it. This aspect is also crucially important. For example, if you make a decision to bold one section heading, bold all of them. As a rule, it is advised to use a readable font like Arial or Times New Roman. Yet still, if your primary target is to get a job as a designer or you want to work in an advertising industry then you should know that in this case, employers are interested in more creative personalities. So, in this case, you can use alternative colors and fonts. Nevertheless, in this case, you need to make sure that the font is readable! This is a final recommendation! When you selected a font size and a font itself, created your resume, it would be much better if you print it before you start sending it. So, print it out and check it one more time. In some instances, on this stage, you can notice that your resume looks confusing or chaotic. In case, you see that you bolded or italicized too many words, correct this. Making your resume, take into consideration all aspects! Choosing the format is also important! Yet still, you can always find assistance here, at ResumeFormat2015 because our service knows everything about resume writing. Our experienced team of writers will definitely help you create the best resume format!